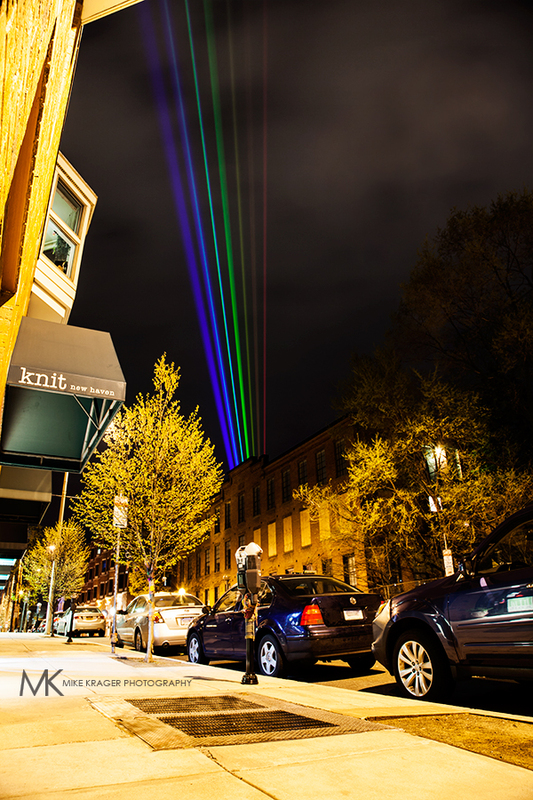 Here’s a photo from Saturday night’s Night Rainbow | Global Rainbow New Haven laser light sculpture. This was a four-night-exhibition that helped kick off the 375th Anniversary celebrations in New Haven, CT. You can read more about it here. 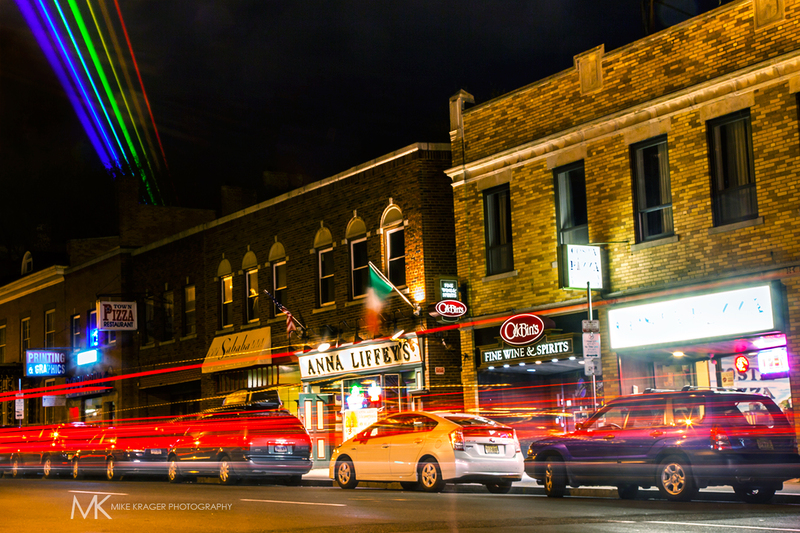 It was super-cool to see these lights projecting across the New Haven skyline. I seriously hope they do this again — I’d love the chance to capture this from (many) more angles! 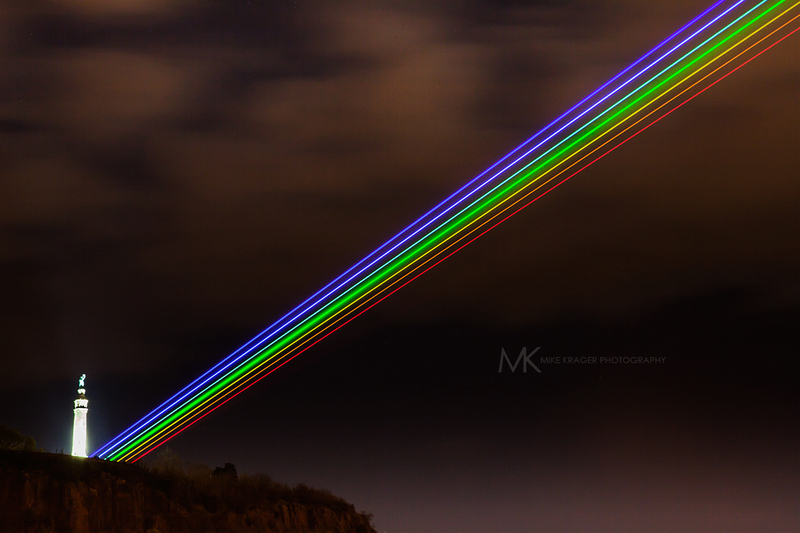 The lasers projecting from the base of the Soldiers’ and Sailors’ Monument at East Rock Park, New Haven, CT.